We invite scientists from the Bocas del Toro Research Station of the Smithsonian Tropical Research Institute to come out to Tranquilo Bay and do their research. 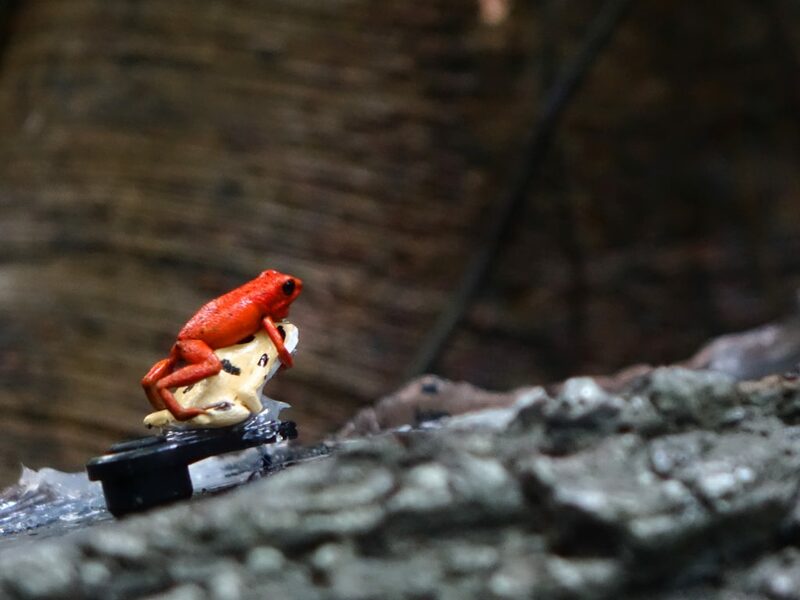 On March 9, we had a group of three scientists come out to take some photos and videos of the poison dart frogs interacting with robot frogs. They put a number of colored robot morphs in play with our resident frogs to see the interaction between the real frog and the robot. The real frog did not enjoy any other frogs moving in on his territory. We hope you enjoy the video they shared with us as much as we have.